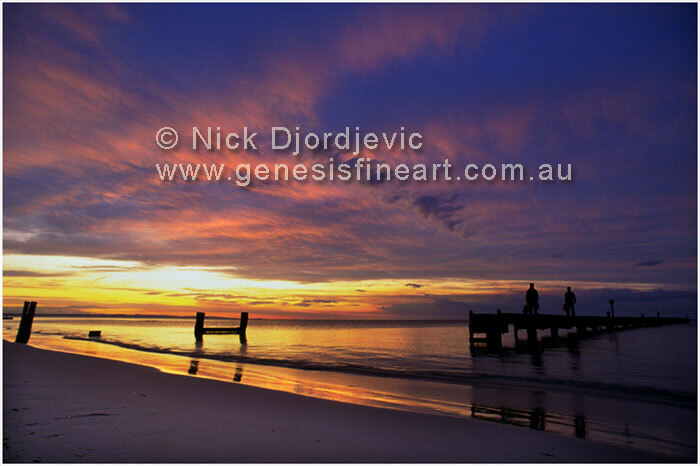 This landscape photo is titled "The Jetty " and was taken at Busselton, which is located in the south west corner of Western Australia near Dunsborough, about 230km south of Perth, Western Australia. The picture was photographed with an 20mm lens and the length of exposure for this landscape photograph was 5 seconds. To purchase this image as either a 30" x 20" Kodak Endura Photograph or reproduced on Canvas click here.